I recently had the opportunity to try Relastin Ultra Emollient moisturizer. Winter is harsh on your skin. Cold weather and low humidity inevitably lead to dry flaky skin and finding the right moisturizer for winter can be tough. 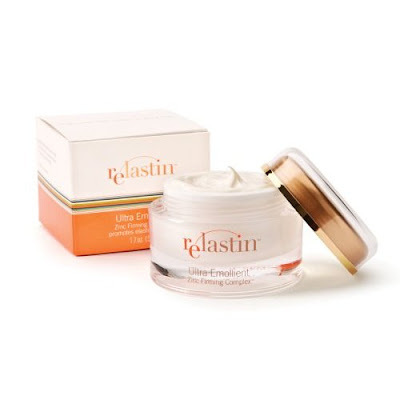 Relastin Ultra Emollient face cream is ultra hydrating and has antioxidants to protect against the environment. Vitamins and minerals, including Vitamin A, Vitamin C and peptides, as well as Relastin's Zinc Firming Complex, help to hydrate skin and improve your skins elasticity while reducing the appearance of fine lines. I found this cream to be perfect for my dry skin. It doesn't leave any greasy residue and my face feels moisturized all day long. I put it to the true test on my recent trip to the slopes in Beaver Creek, Colorado and my skin still felt great after a day of snowboarding. Visit Relastin for more information.